IDP�s easy to use SMART-31S printer will produce full-color or monochrome cards reliably for years. Its time-test design provides robust printing speeds, excellent image reproduction and cost savings. The SMART-31S offers a wide range of optional features including Ethernet, smartcard encoding, and ultra violet (UV) printing. Now small businesses can afford to produce their own ID Cards. 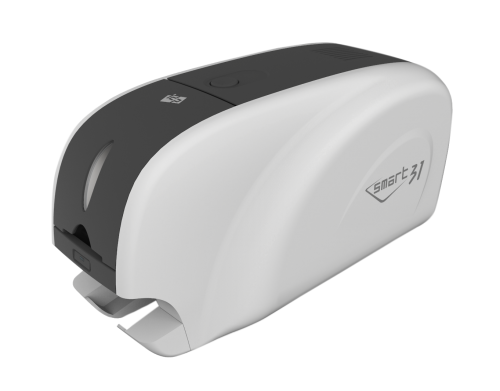 The IDP Smart 31S Single Sided ID Card Printer features a 3-year warranty on printer and 2-year warranty on printhead.